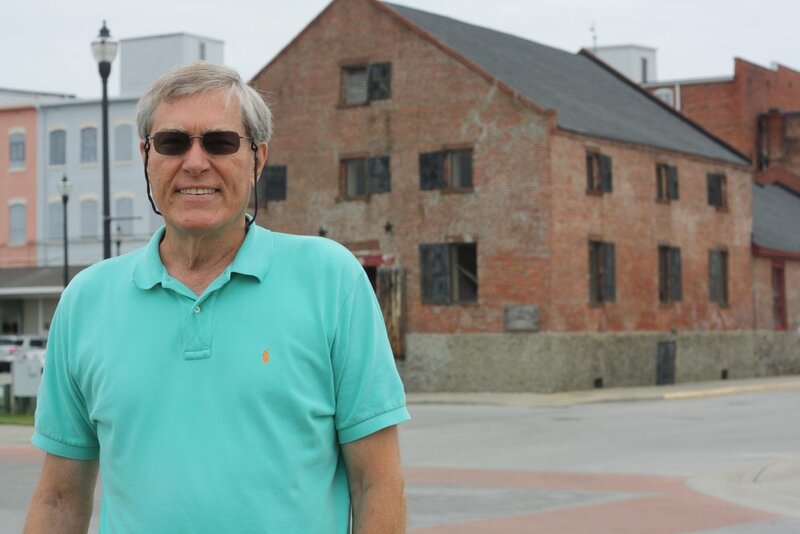 The freight boat carried visitors to the dock of the Pamlico Inn for a week’s vacation of sun bathing, fishing, and a Saturday night square dance. Elsie Ballance Garrish attended the square dances at the Pamlico Inn. She said in the summertime, musicians from Washington came to the island on the freight boat, with brass instruments, guitars, and the like, indicating that an orchestra-style dance occasionally took place. She said that an especially large square dance took place in the community on the Fourth of July, a tradition that continues today. Fanny Pearl Fulcher, interviewed in 1974, recalled the days before Silver Lake was dredged out in the 1930s. “In those days it was difficult for a merchant to get his goods to the store,” she said. “The big boats coming from Washington could not get up in ‘the ditch’ to the docks.” She recalled that freight boats had to anchor out in the channel, and storekeepers met them in their smaller gas boats to “unload the freight and then bring it in to the store, which was doubly hard.” Her father, who owned what is now the Community Store, would get 100 pound cakes off the freight boats and deliver smaller blocks of ice to people’s homes with his two-wheel cart and horse in the 1910s and 1920s. Bland Simpson in The Inner Islands relays a Bessie Virginia tale told by Blount Rumley, director of the Estuarium in Washingon. "He recalled a Washington-to-Ocracoke boat named the Bessie Virginia coming up one time with a load of crabs in the hold. Finding that the local market for crabs was flooded, the captain went all through the town of Washington begging people to come take these crabs. 'My father got three pickup truck loads,' Blount said. 'Spead them all over the backyard for fertilizer. Mama was so mad! She was furious at him about that. Course it did smell right much. Neighbors didn't like it too much either.'" Hyde County History: Hyde County Bicentennial Project. Hyde County Historical Society, 1976. 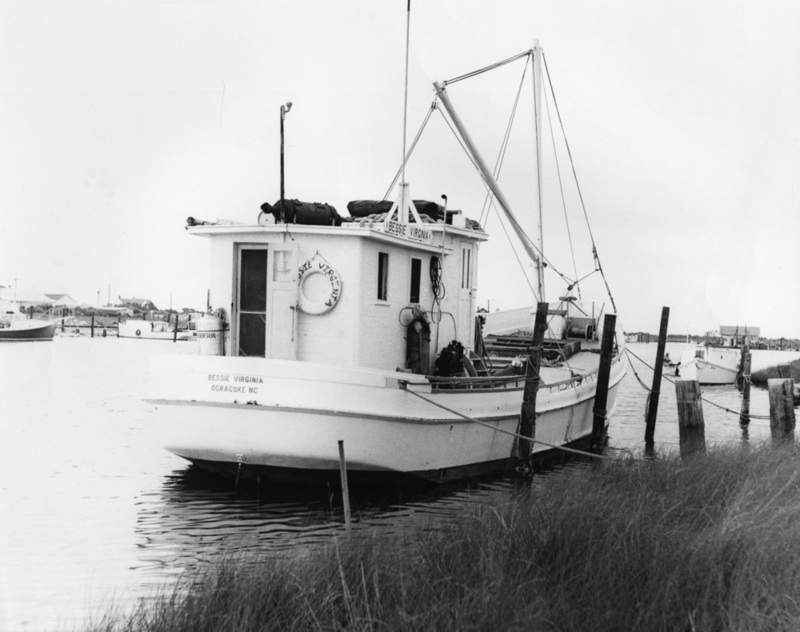 Interview of Fanny Pearl Fulcher by Michael V. Wurm, Cape Hatteras National Seashore Oral History Collection, 1975. Interview of Elsie Ballance Garrish by Amy Glass, the Southern Oral History Program of the University of North Carolina and Cape Hatteras National Seashore Oral History Collection, 1988. Interview of Sullivan Garrish by Michael V. Wurm, Cape Hatteras National Seashore Oral History Collection, 1974. Interview of Ben Spencer by Michael V. Wurm, Cape Hatteras National Seashore Oral History Collection, 1974. Simpson, Bland. The Inner Islands. University of North Carolina Press, 2006.